Prima extension cable with Plug&Play connections allows total freedom in positioning the AP bit amplifiers. 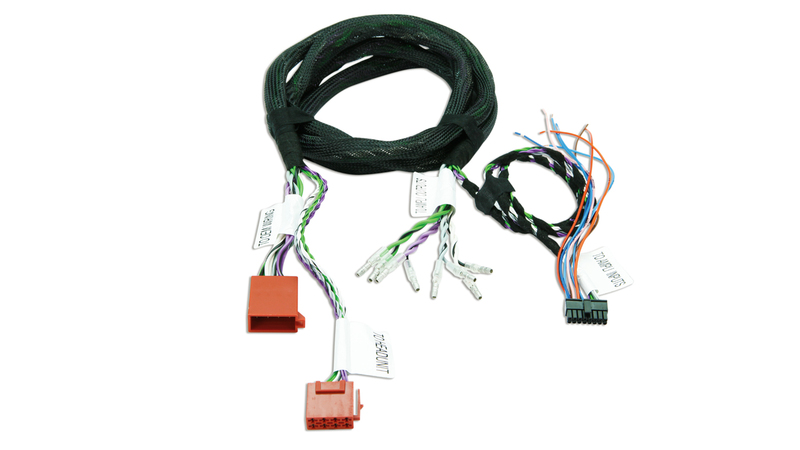 Two extension typologies are available: input only, to only send the audio signal coming from the head unit to the AP bit amplifiers, or input/output, transmit also the AP bit amplifiers’ output signal to the factory audio system. To do so, the AP Extension Cables IN/OUT needs to be installed together with the AP Speakers Output Cables (see following paragraph). By use of the input/output extension, the installer is free to choose which configuration to adopt. Actually, thanks to the AP Extension cables, each single channel of the AP bit amplifier is sent to any of the speakers in the car, so the installer is free to carry out the desired configuration. For example: standard front (2ch TW+WF), multi-amplified front (2ch TW + 2ch WF), multi-amplified front with 4 bridged channels (130W @ 4ohm) for the woofers (2ch TW + 4ch bridge WF) and all the other possible combinations. (1,6 mt, 2,6 mt and 5,6 mt) suitable for any vehicle. To also receive the amplified signal of the AP bit amplifiers.